For the second straight year, Interact Marketing of New Windsor, NY has maintained President’s Circle membership status in the Orange County Chamber of Commerce. NEW WINDSOR, N.Y. (PRWEB) FEBRUARY 12, 2019 – As Orange County, New York’s fastest growing digital marketing agency, Interact Marketing has been included in the President’s Circle at the local Chamber for a second year in a row. Reserved for only a handful of chamber members, companies in the President’s Circle are responsible for in-kind service to the Chamber, its members, and the local community. A chamber member since 2007, Interact Marketing first attained President’s Circle status in 2017 and quickly became an anchor organization, educating other businesses on ways to leverage digital marketing through seminars and speaking engagements. 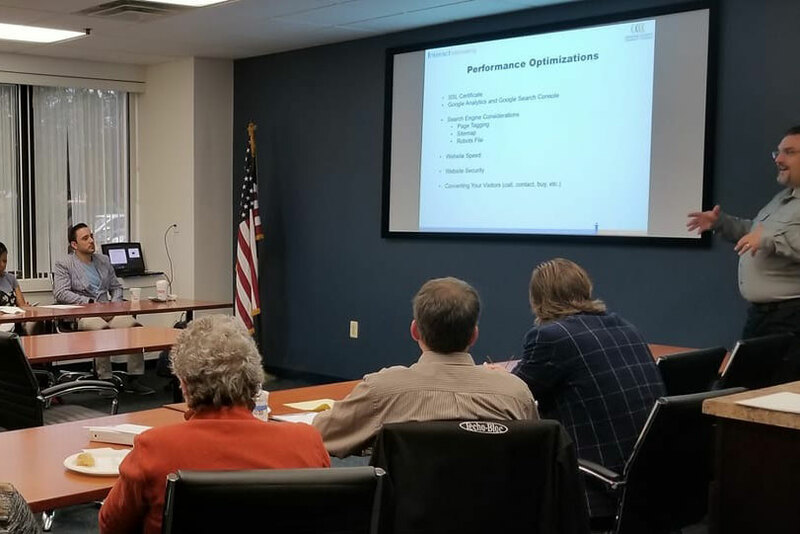 Interact also works with the Chamber on web marketing strategies, including search engine optimization, and maintains the Chamber’s website which was recently optimized for mobile devices. To show appreciation for President’s Circle members and their dedicated contributions to local business, the Chamber makes sure to consistently mention these businesses at events, provide enhanced listings on their website directory, and deliver other opportunities for increased visibility. Orange County, New York is known for its scenic views along the Hudson River as well as being a hub for transportation, regional tourism, and commerce. Because of its proximity to New York City, it has become an area where businesses can take advantage of professional opportunities while also enjoying the natural spaces this area has to offer. The Orange County Chamber of Commerce is comprised of nearly 1,200 businesses and organizations, making it one of the ten largest in New York State. Interact Marketing is a full-service digital marketing agency based in the Hudson Valley in New Windsor, NY. The agency specializes in organic search engine optimization (SEO), pay per click advertising (PPC), website design and development, content and social media marketing, and online reputation management for brands and executives. Interact Marketing is also a Google Partner Agency. It is one of the fastest growing agencies in New York’s Hudson Valley region with 472% organic revenue growth in five years (2010-2015). Founded in 1997 after two 100-year old Chambers merged, the Orange County Chamber of Commerce leads the way creating and supporting an environment in which business will succeed and the quality of life is enhanced. With nearly 1,200 members, the Orange County Chamber is the leading supporter of business in the Hudson Valley region. Legislative advocacy, pro-active referrals, extensive member services, networking opportunities, seminars, special events and more make the Orange County Chamber one of the best business investments in the Hudson Valley. ©2019 PR Newswire. All Rights Reserved.